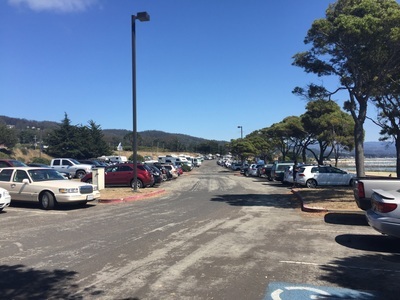 Parking: Free parking lot across the street from the business. 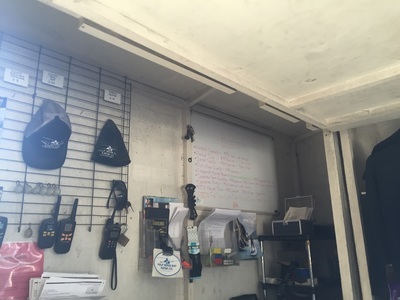 Parking lot in front of the business is by permit only. 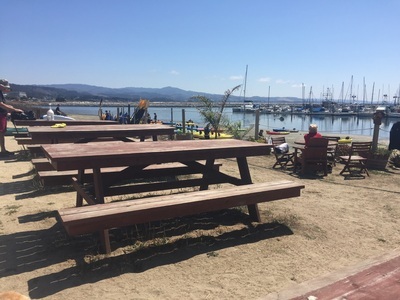 Hours: Wed-Mon: 9 A.M.- 5 P.M. (last walk-up without a reservation is at 3:30 P.M. 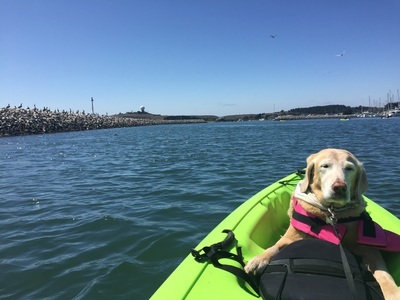 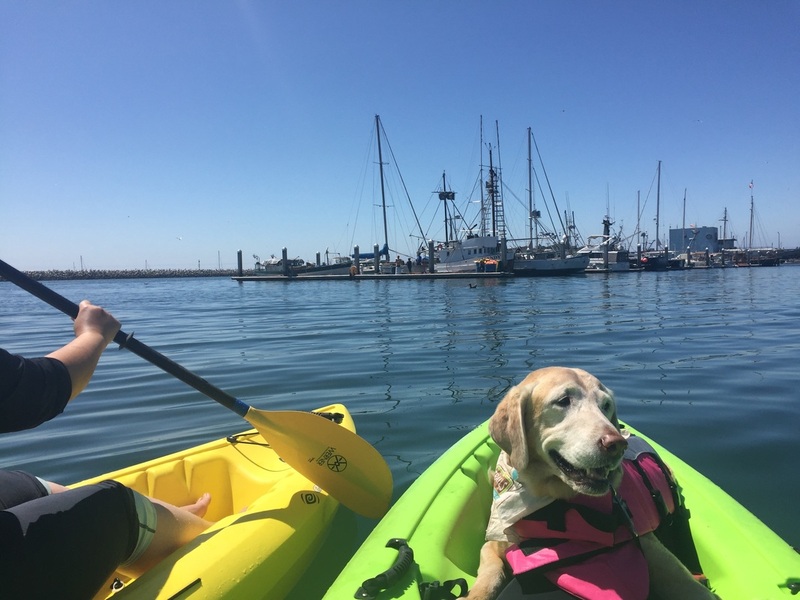 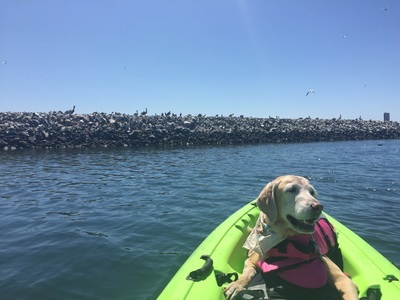 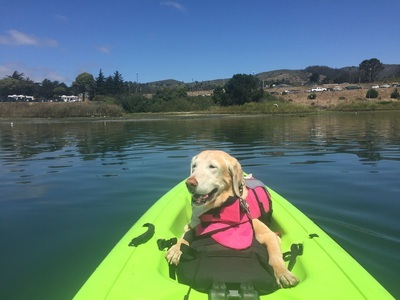 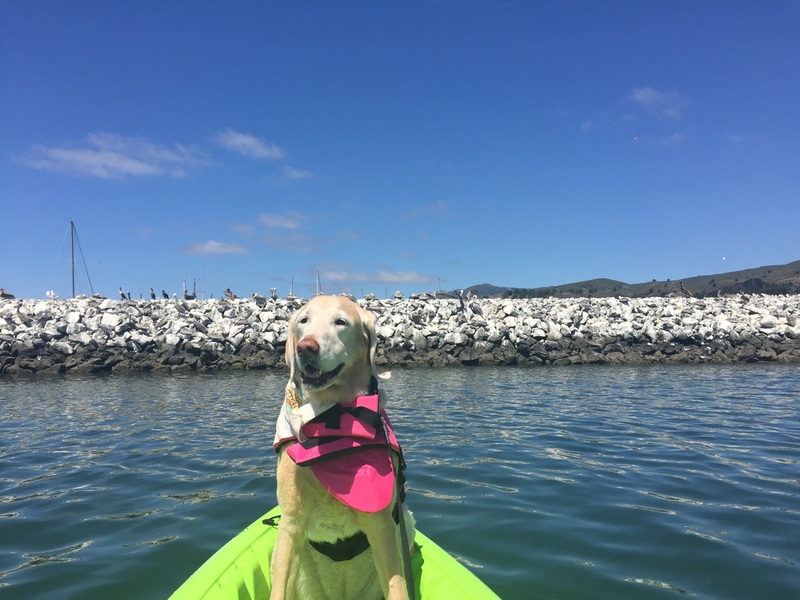 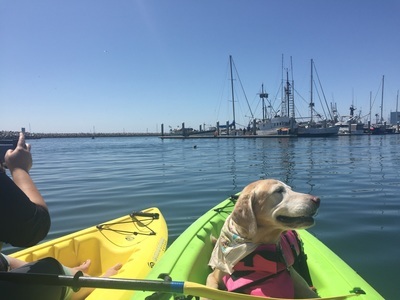 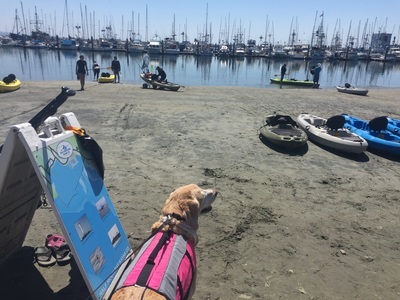 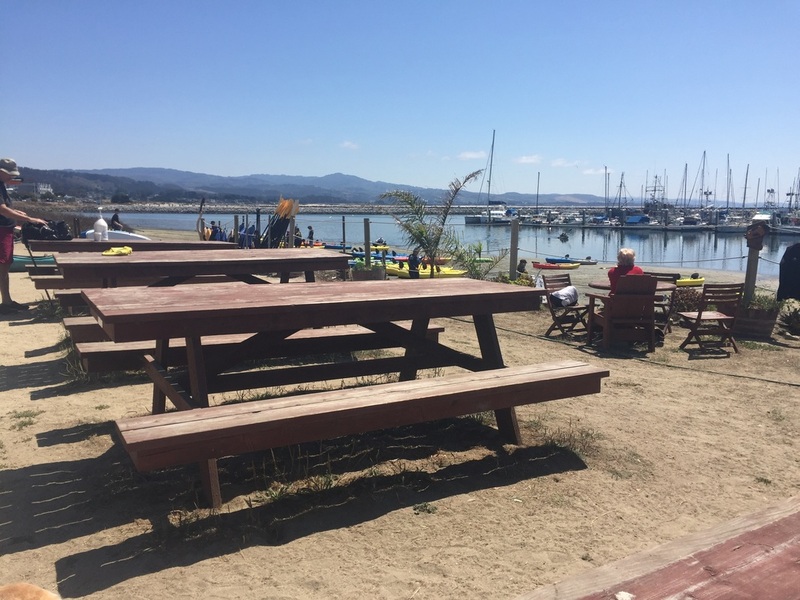 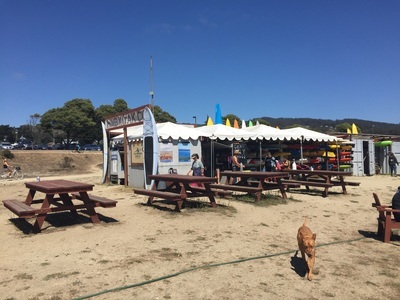 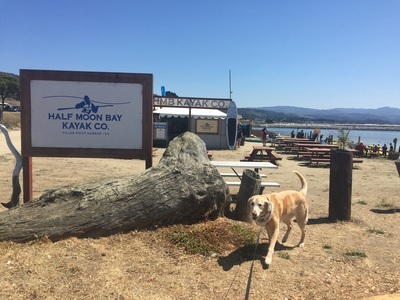 Description: This is a super dog-friendly business that rents out single, double and triple kayaks as well as stand up paddle boards. 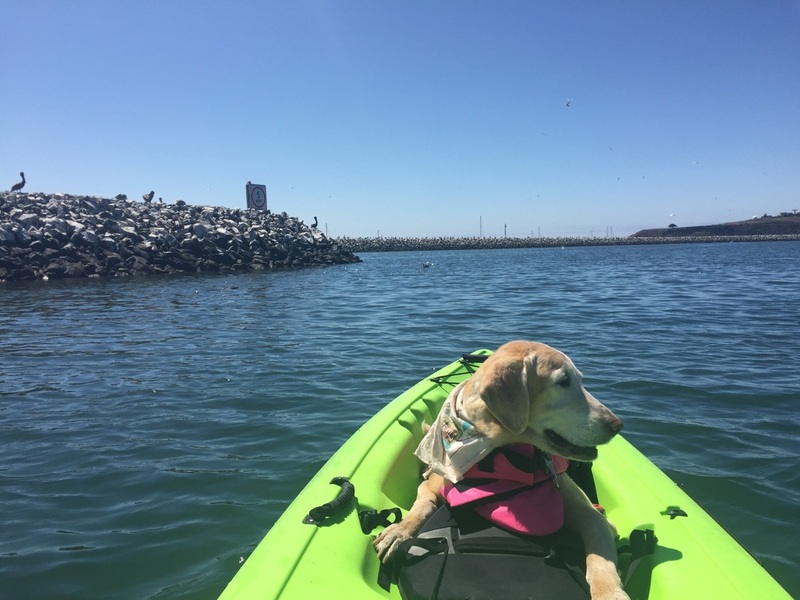 The kayaks are large, sturdy and have plenty of room for you and your dog, as they are the sit-on-top style instead of the sit-inside type. 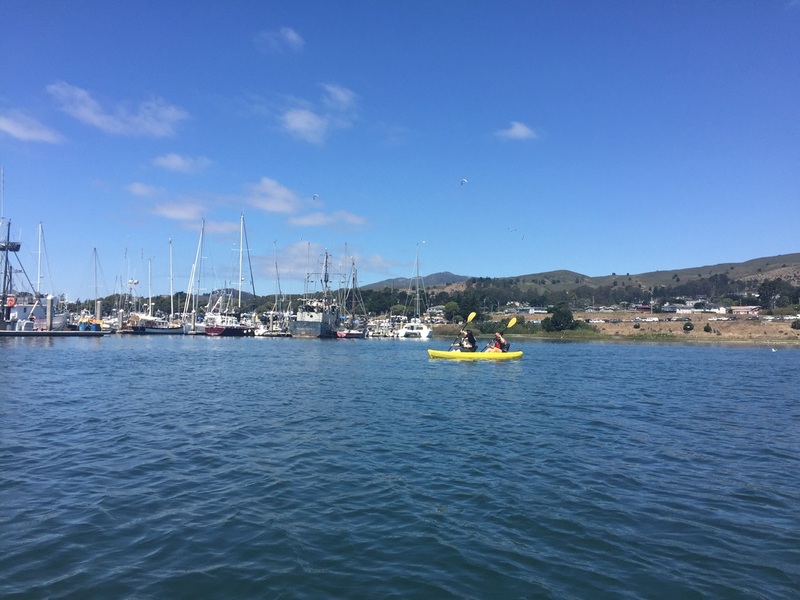 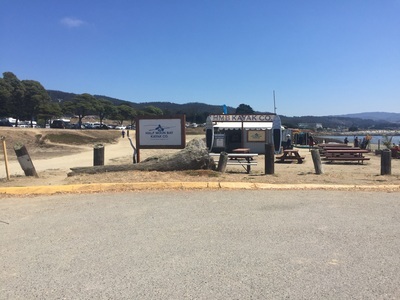 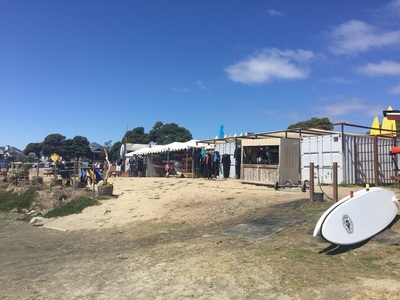 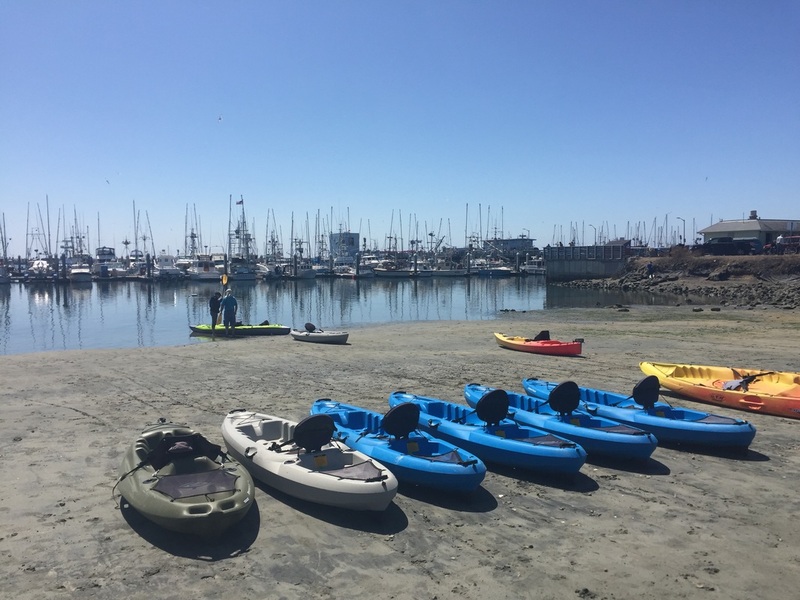 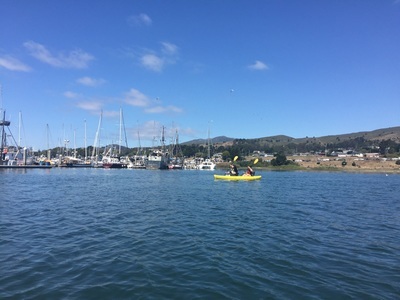 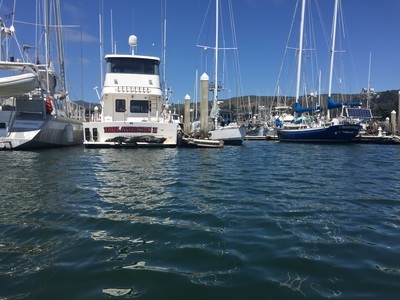 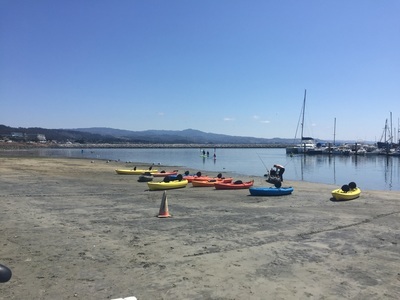 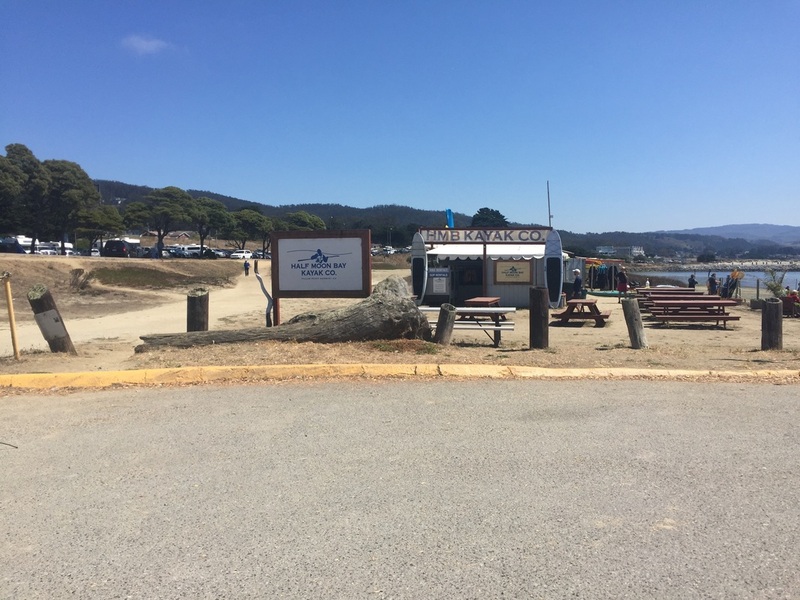 They ask you to avoid paddling out past the fog horn into open water, but there is a huge area to explore with plenty of beaches where you can stop, get out of your boat and enjoy a break. During our kayak trip we saw numerous seals, and at one point were surrounded by 6 of them. 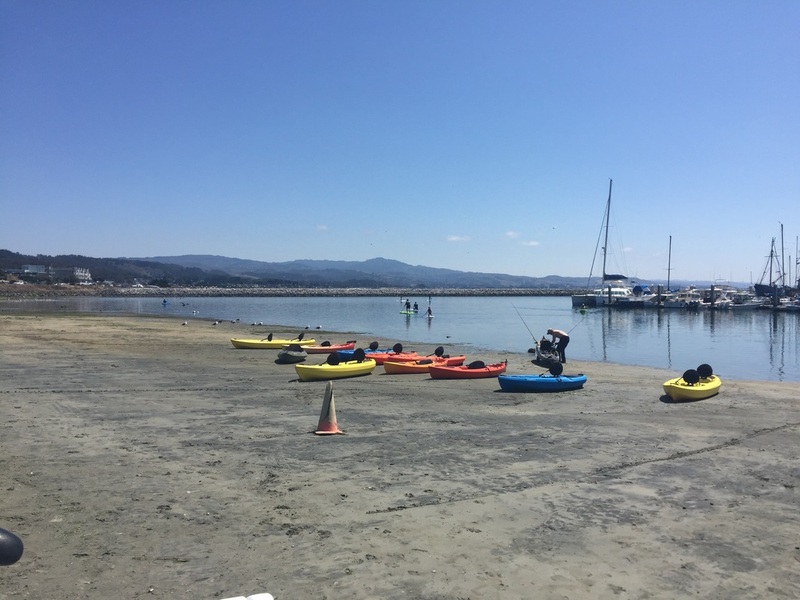 There are also various birds fishing in the waters around you, including very large brown pelicans. If you venture to the shallow waters you may even spot some small leopard sharks. 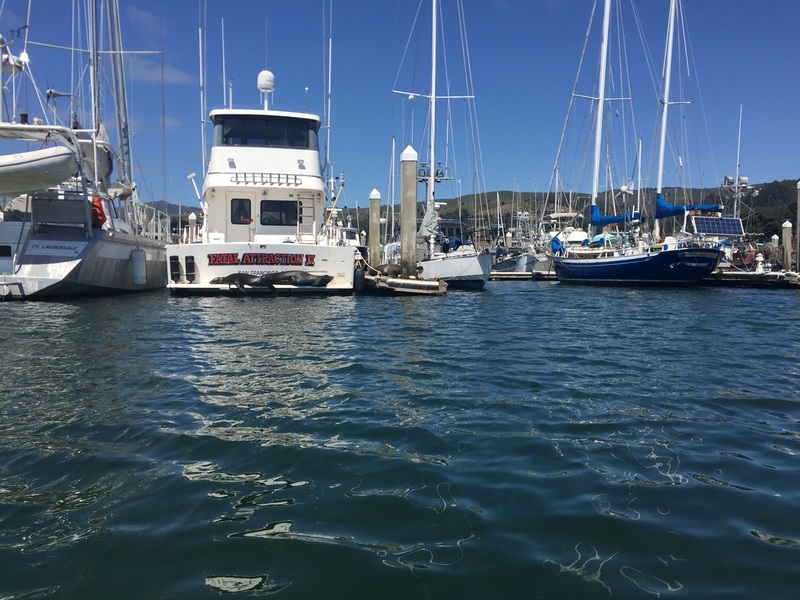 We saw seals and sea lions lounging on the pier where the boats were docked as well. 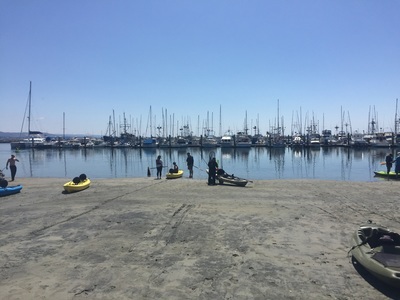 You will have to pull your boat out into knee-deep water before you start paddling, so I recommend wearing shorts. They have lockers to hold your shoes and a foot-washing station. 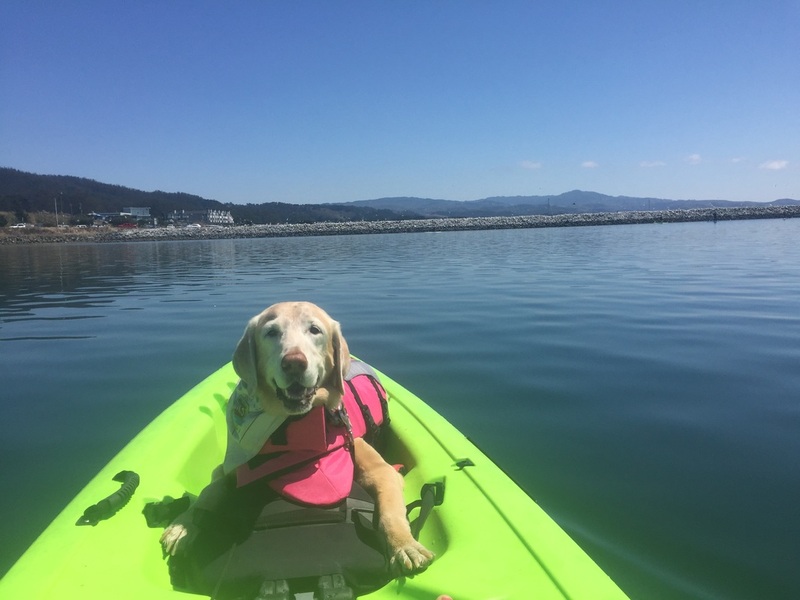 They also have life vests for dogs. 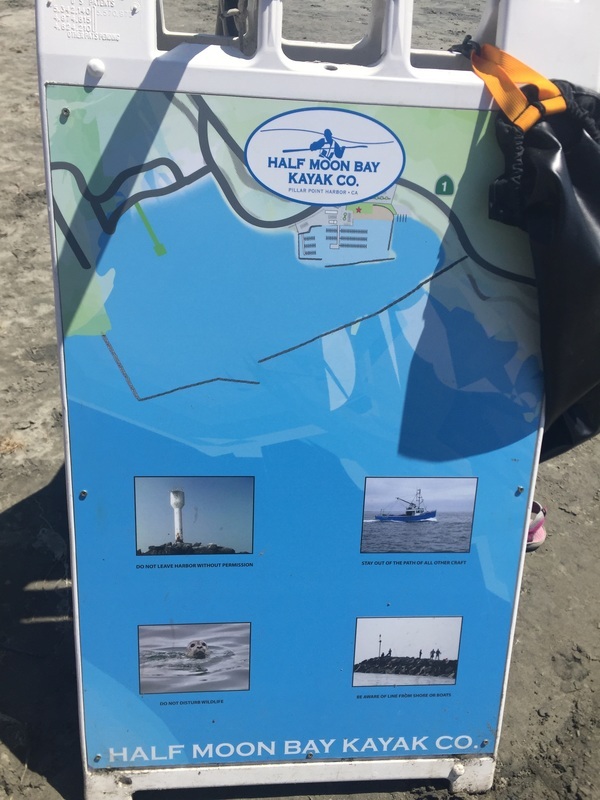 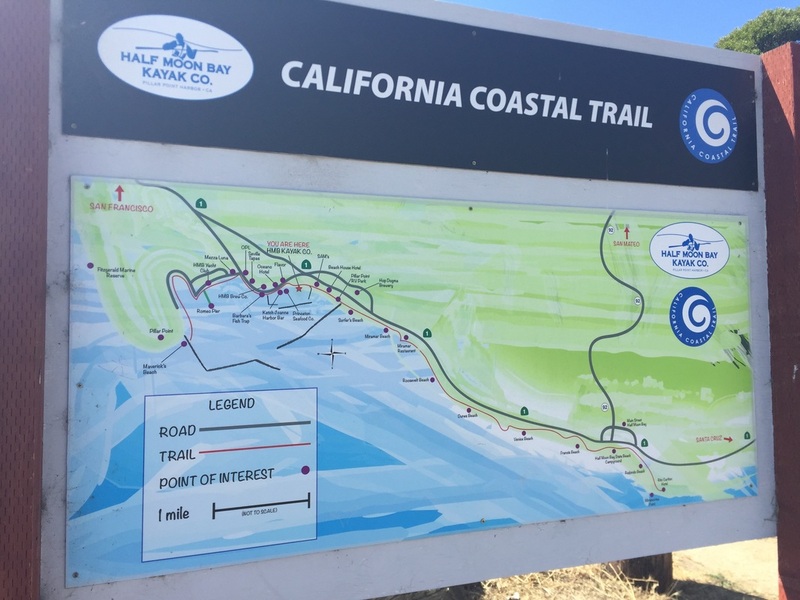 After finishing your kayak trip you can walk along the coastal trail. See map below.